Pokemon GO is a location based game wherein you have to move around different places to catch Pokemons. The game requires you to walk around various locations to catch different variety of Pokemon which are available at only certain places. But there are few lazy people who tried playing it while sitting in the car, bus, train etc. Now in the new update the game prompts you not to play it while driving. But for lazy people like me who don’t like to walk for enjoying this game, there is a new hack where you can fake the GPS location and move around with a joystick. This method doesn’t even require for you to root the phone. 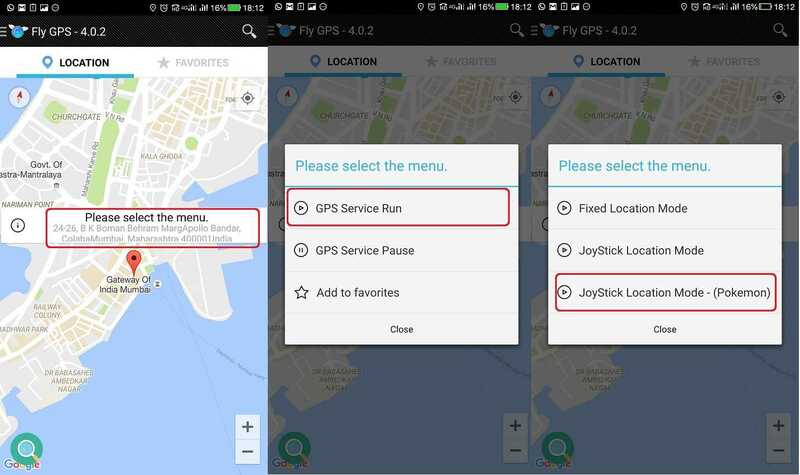 If you have lower Android version then you cannot use the joystick feature, but you can use the Fixed Fake GPS location feature. 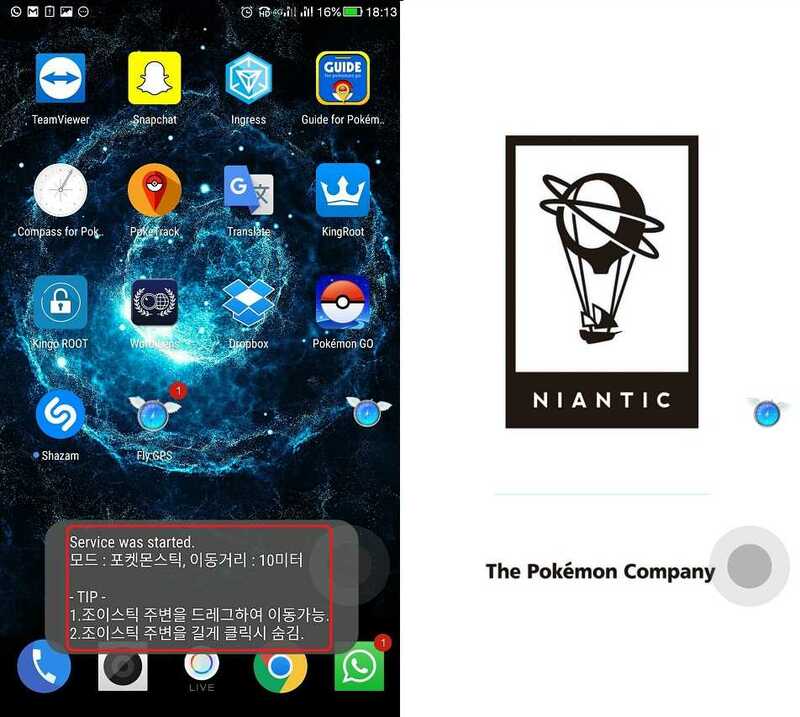 How to play Pokemon GO from your Home/Office without walking? 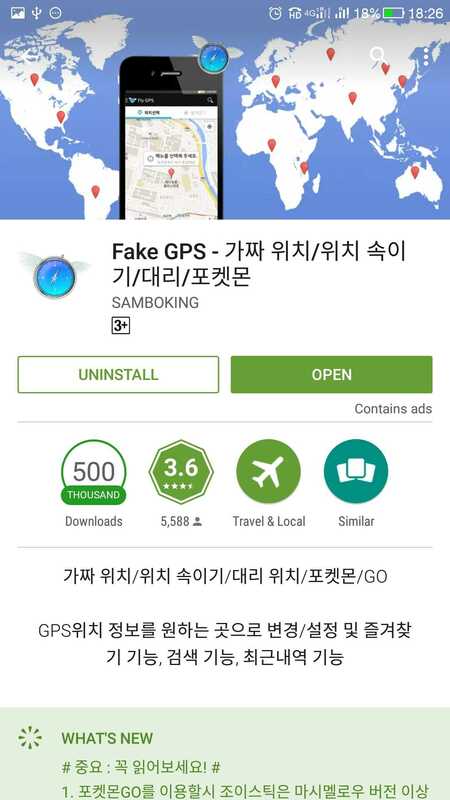 Go ahead and download Fake GPS/Fly GPS app from Playstore (While searching directly on the Playstore type ‘Fly GPS’). Install the App in your android device. Go to settings and check if developer options is enabled in your phone. If not then, go in about and tap on build number 7 times until it shows ‘congratulations you are a developer‘. Now launch the Fake/Fly GPS app. After that it will prompt you to allow mock location. Just tap on Settings -> Select Mock location app. After that choose Fly GPS as the app for Mock location. Next you can choose the desired starting location. This will be your starting location when you launch the game. Now click on Please select the menu. From the shown three options, select GPS Service Run. After that choose JoyStick Location Mode – (Pokemon). For the people not having Android Marshmallow should opt for the first option -> Fixed location mode. If you completed all the above steps then the app will minimize and show you a message “Service was started“. you will also see a compass icon and Joystick on the display. Time to launch the Pokemon GO game. 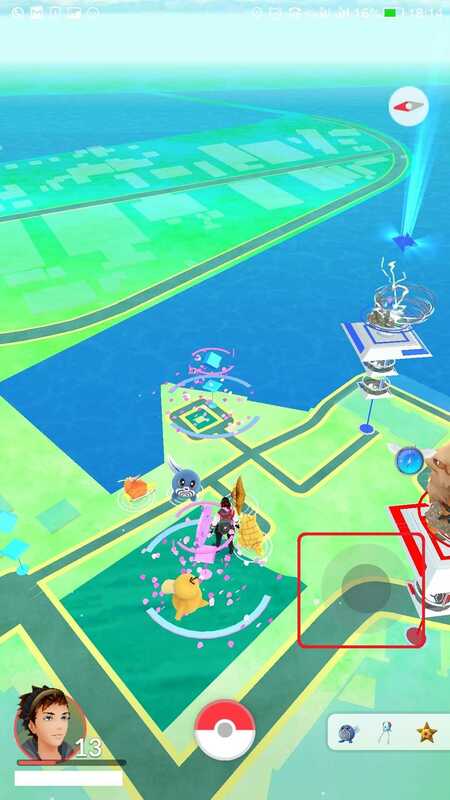 As soon as the game starts you will see that, the starting location is the desired location you chose. You can move around using the joystick with respect to the game’s north heading. Voila!You can play Pokemon Go from your home/office without walking a single step using a joystick. For people using older Android version can play by continuously changing your fixed GPS location. Or maybe you can try other apps to fake GPS that may or may not require root. You can always move the joystick by long pressing on the sides and moving it. Sometimes long pressing may close the joystick option, in that case you can relaunch the fly GPS and follow the instruction from step 4. Just start from the last used location. You can also bookmark certain locations where you often find Pokemon easily using the FlyGPS app. What is the RISK involved in using FLY GPS to fake location? How to avoid getting banned while using Fly GPS? Always change the location according to the flight time. Like if you started playing the game choosing Mumbai as your fake location. Then next time if you plan to choose Delhi as your fake location then at least have a gap of 2 hrs(As Mumbai to Delhi flight time is around 2hrs). Till then close your game and the Fly GPS app. So accordingly maintaining the gap of playing with respect to the flight time. Note:This is just a theory and it worked for me till now. So I will not be responsible if your account gets banned. So this was all about how to play Pokemon GO from your home/office without walking a single step. I hope you have fun playing the game without actually walking and just sitting on your couch. Share your experience with us in the comment section below. If you have any doubts then do post them below . Mostly you got soft banned. Keep your game closed for about 1 hour and then do try again. Remember to follow the flight time rule before jumping locations. Till then laumch spy gps, choose any location -> select menu -> gps run -> joystick mode(pokemon). The app will autoclose and you will see the joystick. 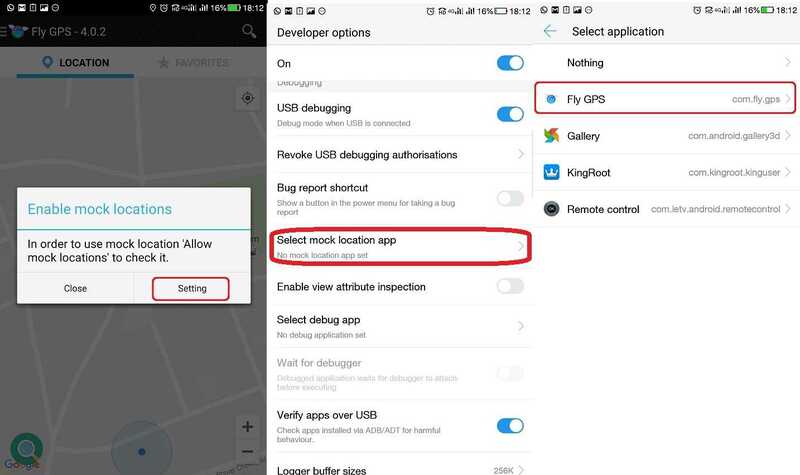 Have u enabled developer mode and set mock apps as fly gps. My character occasionally runs really quickly to my actual location and then back to my spoofed location. It has already gotten me soft-banned once. Now, I cannot go too far from my actual location or I’ll get banned again. I turned off wifi thinkng that may have been the issue. Any other ideas how to prevent this so that I don’t lose my account? Which android version are you using? That may be because of some GPS issue. If you have the flygps app running continuously, then I dont think the game should get your actual location at all. You can go far from your home location, just remember the flight time logic I mentioned in the article. Did you change the distance setting in fly gps? I’m using version 6.0 with security patch from 6-1-2016 according to “About Phone.” It did it again this morning while I was “walking” around the neighborhood. It would just appear at home (real home) for a second and then fly back to the spoofed location. Can I turn off location services while I’m using fly gps so it has no idea where I really am? It is actually weird in your case. Can you tell me which smartphone are you using? Plus when you allow Mock locations that means you are hiding the true location. I’m using an LG V10. It still continues to do this after several days. In my developer settings, there is no “allow mock locations” setting, only a “Select mock location app” setting for which I selected fly gps. It works 98 percent of the time, but that 2 percent has already gotten me banned twice. The select mock location app setting is perfect. But I still dont get it why are you facing that issue. I checked it on like 4-5 devices. Do one thing try posting a comment on Fly gps app in playstore regarding this issue. May be they will patch it in the next update. It’s not working on my S6, it doesn’t have and option to choose fly GPS after tapping “allow mock up location”. Please help, tks! You should update your phone to marshmallow. Once you do that the option will be available. Whenever i turn mock location on, the game shows unable to detect location. Well without rooting the phone you cannot use Fly GPS. A7 already has received Marshmallow updates. Please update it and then use this. I downloaded the fly GPS and it shuts down as soon as I try to go on. Says “unfortunately fly GPS has stopped” I did everything went to developer options did everything but still not opening. Please tell me some information on which phone you are having and which version of Android you are using. You can try commenting on Fly GPS app on playstore. May be they can help in fixing the bug. Meanwhile if I find some alternate app, I will inform you. I’ll try to leave a comment. Now that Niantic has threatened to permanently ban spoofers, I may have no choice but to stop using it. I can only safely use it within about 50 yards of my actual location because then it runs back and forth and I just have to click “I’m a passenger.” Whereas when I’m farther than 50 yards, it disappears and reappears at home and that will probably get me banned. I read the other comments in the play store and almost all of them have exactly the same issue. They refer to it as “teleporting” back home and others have been banned for it too. I guess I’m not the only one. There are hundreds of people complaining, maybe thousands. Are there alternatives? Well without ROOT there are no alternatives. Do this, when you jump to another location, find a pokemon then tap on it, then jump back to your home location and then throw the pokeball to catch it. This way you dont get banned plus the pokemon dont run away. Hope this works for you. Can you tell me the smartphone you are using? Do comment it on their app on playstore. Maybe they will patch it up. me to have that problem that i spwan to my actual location for 1 second. if i travel within 2 kmh it works but further i will get soft banned. I use the latest version android galaxy s7. Jump to another location. Tap on a pokemon you want to catch. Then jump to your home location by minimizing the game. Now resume the game and then throw the pokeball. This way the pokemon wont run away and you will not get banned. I hope this works for you too. Using an Alcatel pop4 and fly GPS just says stopped working every time try opening. That is the compatibility issue which will be only resolved when either Alcatel or Fly gps will provide a software update. You can try commenting on the Fly GPS app playstore link. 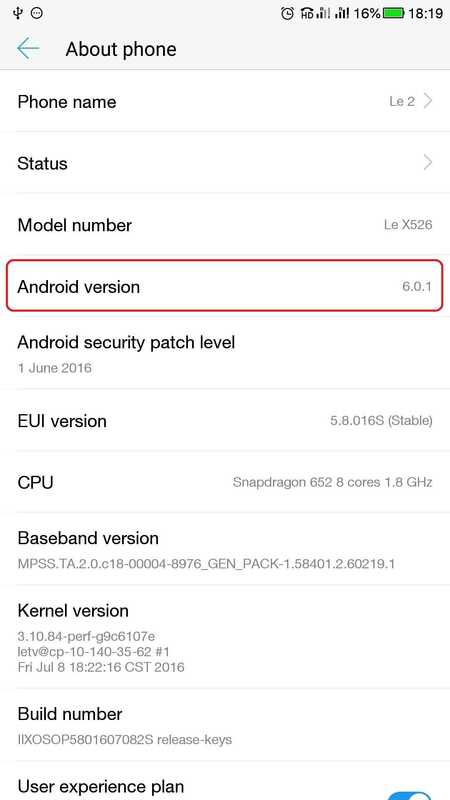 Hi, I am XiaoMI Mi3 user and my android version is 6.0.1. I had followed all the step including set the mock location => gps run ==> joystick(pokemon) BUT i do not see the compass and joystick. Please help. Hello. Yes I got what the issue is. You need to go to settings – > Apps – > Fly GPS. There at the very bottom you will find permission manager. In that turn on popups for fly gps. Once that is done, you will see the joystick on the screen. I had this app. It stopped working so I uninstalled it. Now I’m trying to install it ahsin and it won’t work. Please help!! Greetings, I have a problem the location changes but the joystick dissapears the moment I open Pokemon Go, It is not beacuse I press it, It seems both applications do not run at the same time, I have an Android with 1 Gb of ram I suspect that is the problem, BTW I do have marshmellow Android 6. Could you help me with this problem. when I open Pokemon my location is the new one but the joystick just wont stay after Pokemon go start White screen that says niantic finishes loading. You can check if screen overlay permissions are given to the fly gps app or not. And yes it might be the case of insufficient RAM that both the apps fail to run simultaneously. Try it on some other device. i had gps fly and used ir for a while but everytime i trg to get a pokwmon it shuts pokemon go off and then when i try to catch a pokemon it wont work how so i get gps fly and pokemon go to work again ? Pokemon go is showing failed to detect location. They might have removed the hack. Will keep you updated with more. my zenfone3 n zenpad 3s devices all failed to detect gps location ! any ideas how to fix the problem? Try factory reset. Or uninstall any recent app that were installed after the problem occurred. Ya, That’s not correct at all point if you use moded Gps location Spoofers than issue not come at all, I use Fake GPS Pokemon GO but still i haven’t faced the issue. I followed all the steps and everything went smooth but when I open the game it says failed to load the location . This trick currently doesnt work. Will update with a updated method. Thanks. You can subscribe to receive it.